It’s Evgeniya with you today. 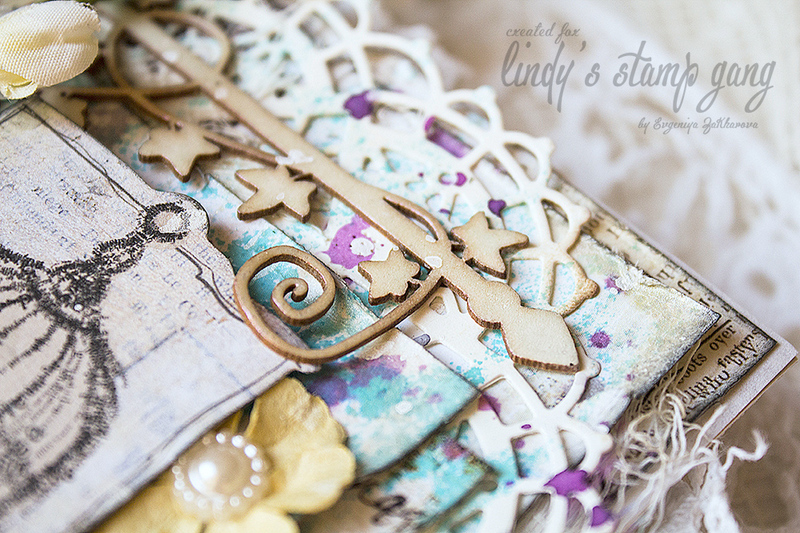 I want to show you how I made this card, inspired by the palette of the May Color Challenge. I started layering, and of course the May 2015 Limited Edition Spray Set did all the work for me! Such a marvellous card. Love the vintage style and all the layers!